Giving back to the community is helping teenagers to form their own futures. 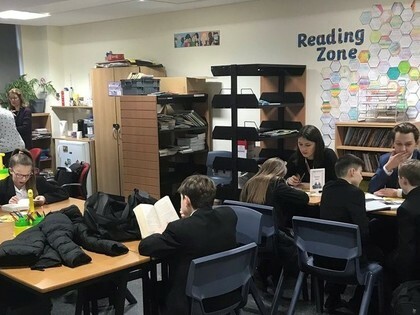 Sixth form students at Epping St John’s School spend one morning each week completing a task to give back to their school community. Stephen Hehir, executive head, said: “I would like to thank all of our wonderful students in Year 12 and 13 for being great citizens. The help and support they give to other students and in our local community is invaluable. This shows the caring and family side of Epping St John’s which is just as important as our academic side.